"The 2016 Bernácer Prize has been awarded to Prof. Ricardo Reis (LSE) for his influential research on the transmission of shocks in the presence of sticky information and the analysis of automatic stabilizers during the business cycle." Ricardo Reis (Portugal) is the A.W. Phillips Professor of Economics at LSE having held similar positions at Columbia and Princeton in the past He earned his Ph.D. in Economics at Harvard and his Bachelor's degree at LSE. His research lies in the intersection of macroeconomics, monetary and fiscal policies. He is Editor of Journal of Monetary Economics and holds an ERC Consolidator grant. 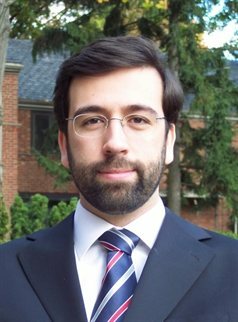 He is also a Research Fellow at CEPR and a Research Associate at NBER. His research has often been featured in the media. He has published highly cited papers in leading journals like American Economic Review, Econometrica, Quarterly Journal of Economics, Journal of the European Economic Association, Journal of Monetary Economics, Review of Economic Studies, etc.